Obesity and binge eating disorder are common in individuals with psychotic disorders. Eating and weight-related cognitions are known to influence eating behaviors. The study was designed to assess the psychometric properties of the Mizes Anorectic Cognitions Questionnaire (MAC-R) in patients with psychotic disorders. 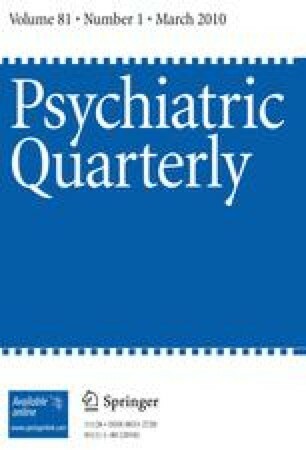 Binge eating disorder (BED), body mass index (BMI), the MAC-R and the three factor eating questionnaire (TFEQ) were assessed in 125 patients with a diagnosis of schizophrenia or schizoaffective disorder. Whereas the MAC-R has not acceptable psychometric properties, a brief version of the MAC-R (BMAC) has good psychometrical properties and is correlated with TFEQ and BMI. Binge eating disorder is also correlated to the Rigid Weight Regulation and Fear of Weight Gain subscale. The BMAC is a useful brief measure to assess eating and weight related cognitions in people with psychotic disorders.